Build real-world programming skills—and prepare for MCP Exams 70-330 and 70-340—with this official Microsoft study guide. Work at your own pace through a system of lessons, practices, and labs—with code examples in both Visual Basic and Visual C#. For further self-assessment and practice, use the Readiness Review Suite on CD— featuring 300 challenging test questions for each language, plus detailed feedback. 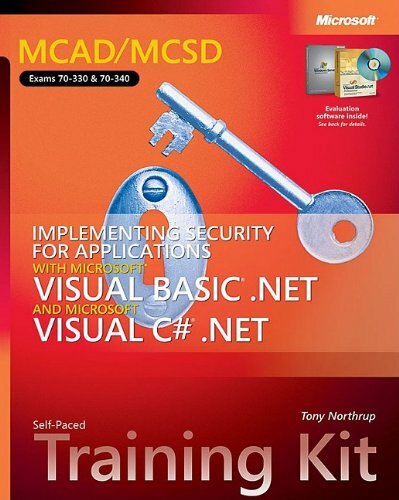 Whether advancing the skills you need on the job—or preparing for MCAD or MCSD certification—you’ll gain practical experience developing application security features with the Microsoft .NET Framework. NEW—Readiness Review Suite featuring 300 questions for each language and multiple testing options.